Type 2 diabetes is a deadly disease, but it can be PREVENTED and REVERSED with the right lifestyle changes and strategies. What we’re doing now must change, because it isn’t working — MORE THAN 70 diabetes drugs being prescribed in the U.S. alone — NONE that address the root causes or stops the progression of the disease. With the right education and action, it’s ABSOLUTELY possible to change and save the lives of those on a path toward diabetes. The Summit’s host, Dr. Mowll, made it his mission to discover the truth about the root causes of type 2 diabetes, and find natural solutions to reverse it, help restore balance and master blood sugar. He has coached thousands of clients by helping them reduce or eliminate medications, lose weight, regain blood sugar control and reverse type 2 diabetes. 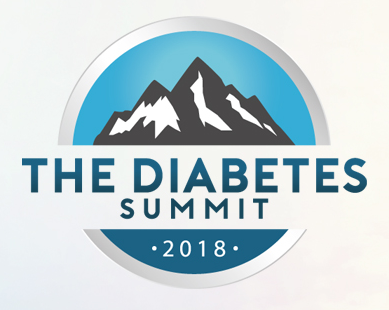 Armed with the wisdom from Dr. Mowll and over 30 health experts in The Diabetes Summit 2018, you can learn a functional medicine and personalized, lifestyle-based approach that could result in life-changing results, best-ever HgA1c and other lab readings, achieve weight loss and reach normal blood sugar levels.